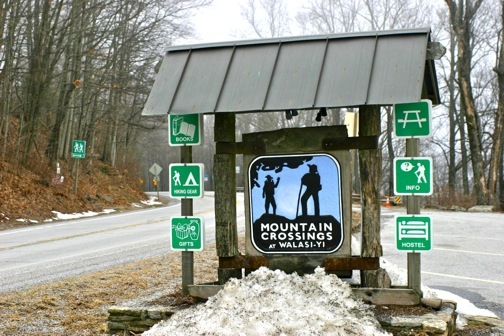 Yesterday we ventured up to Blood Mountain to visit Mountain Crossings, a colorful retail store/hostel/backpacker hangout housed in a historic brick building located just over 30 miles from the southern terminus of the Appalachian Trail. 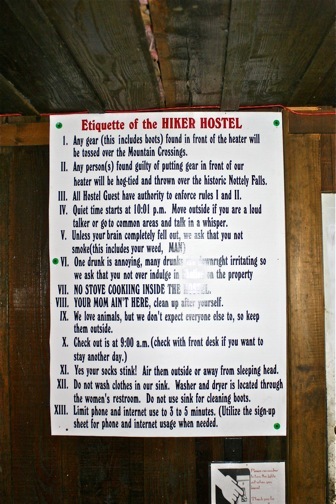 We were there to interview owner Winton Porter, an Appalachian Trail guru who helps hikers prepare for the arduous 2,179-mile trek stretching from north Georgia to Maine. 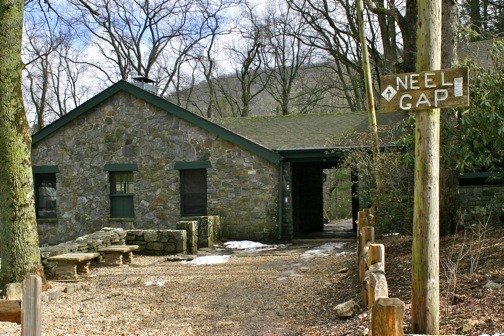 This is the only place where the Appalachian Trail runs through a man-made structure, making Mountain Crossings a popular hangout for experienced hikers and an absolute must-see for Appalachian Trail newbies intimated by the trail’s first 30 miles. 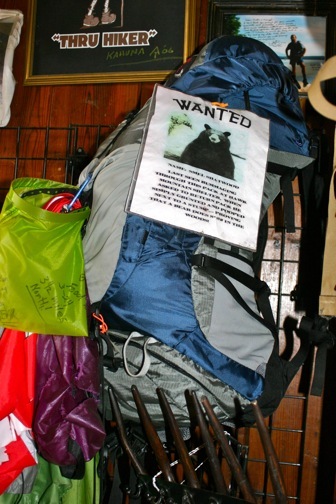 Porter and his staff go through 500-600 packs and ship back 9,000 lbs of gear each year. “That’s 9,000 lbs of bad decisions,” Porter says with a laugh. 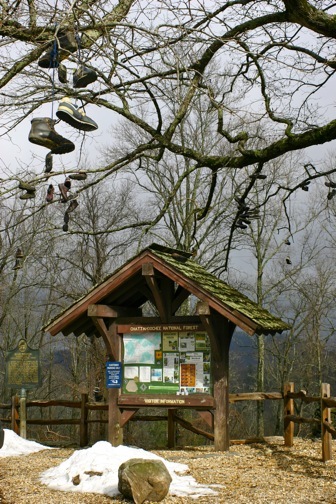 The trees in front of the store are laden with the well-worn boots of Appalachian Trail hikers who were, as the title of Porter’s award-winning book says, “Just Passin’ Thru.” There were very few people there when we visited, but the store becomes swarmed in March and April as hikers begin to make their way north. We really enjoyed our interview with Porter, for whom buying Mountain Crossings 8 years ago was a longtime goal. His story is an inspiration for anyone who’s ever taken (or wanted to take) a leap of faith in pursuit of a dream. 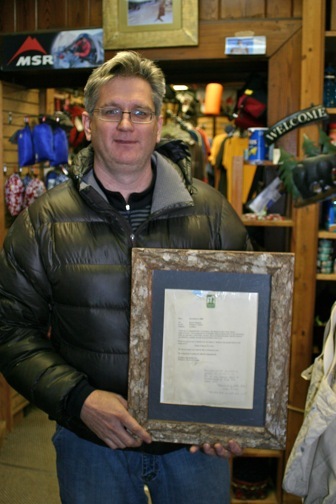 Here, he’s holding the resignation letter he turned in to his boss at Galyan’s the day he bought the store. It reads, ““My dream begins now, and my life is returned to me.” Look for our full story on Porter’s dream next week!